(TibetanReview.net, Mar19’19) – The nexus between mining companies and local officials in Chinese ruled Tibet is all too well known and has continued for decades, leading to many affected Tibetan villagers and herdsmen who protested against illegal mining activities being beaten, jailed and even killed. 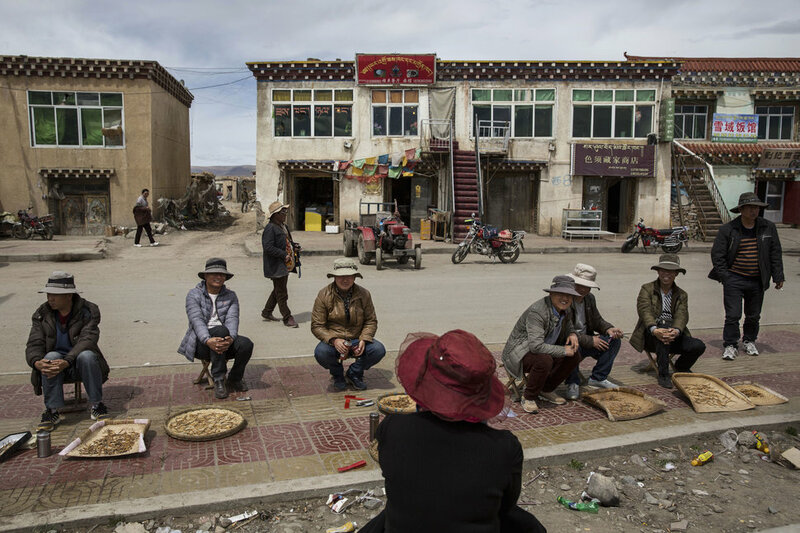 But now, in at least Qinghai Province, an investigation has finally been launched to determine whether some officials had been profiting from expensive and extremely rare local resources such as caterpillar fungus and Kunlun jade, according to China’s official globaltimes.cn Mar 18. The report said that with approval by the Communist Party of China (CPC) Qinghai Provincial Committee, a three-month investigation was launched by the CPC Qinghai provincial commission for discipline inspection and the provincial supervisory commission, citing an article published on the CPC Central Commission for Discipline Inspection website on Mar 18. The report said the campaign will focus on the officials’ misconduct related to two main local specialties and resources — caterpillar fungus and Kunlun jade. It will focus on whether local officials purchased the items with public funds, and gifted or received them in violation of discipline rules. The report said such actions may have impacted normal trade in the items and some officials may have been directly involved in operating such a business, which would be considered “using the local specialties to seek personal interest”. The report noted that provincial authorities had been urging local officials to conduct self-examination on the matter since 2014, before Party branches at all levels reported them to the discipline inspection and supervisory organs. Caterpillar fungus is purported to be an aphrodisiac, helps delay aging and is a cure-all for many ailments including tumours, the report noted. It grows in the Himalaya region above 3,000 metres above sea level on the Tibetan Plateau. Its price surged since the late 1990s, reaching more than 100,000 yuan ($15,065) per kilogramme, making it more valuable than gold. The report added that the price of Kunlun jade increased tenfold after the precious stone was used to adorn medals awarded during the Beijing Olympics in 2008.